Food banks handed out 10 million meals in one year as the service continues to be used by a record number of hungry Britons, new figures reveal. The country’s biggest food bank network passed out 1.1million emergency food packages in 2014/2015 compared with 900,000 the previous year. Each parcel provides ‘nutritionally balanced’ food for three days, meaning roughly 10million meals were needed. Of these, more than 415,000 packages – some 3.7million meals – went to children. 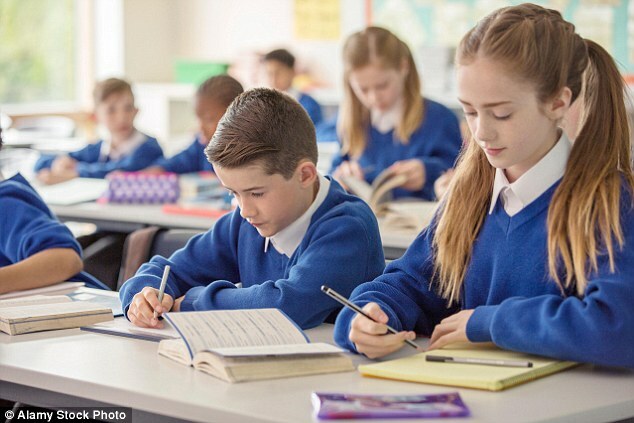 Meanwhile a separate report by the All-Party Parliamentary Group on Hunger shows a rising number of children are starting their first and final years of primary school underweight. The increase in demand for emergency supplies comes despite signs of an economic recovery, according to the Trussell Trust, Britain’s largest food bank operator. The trust said its figures do not reveal the full scale of food poverty in the UK because other groups also offer food aid. Almost half of food banks said there had been an increase in the number of people needing emergency supplies because of delays and changes to benefits, according to the 2014-2015 figures. Other problems included low wages, high living costs or insecure work contracts. The trust said a million emergency food supplies a year must not become the ‘new normal’. The report said there was a clear link between food bank use and areas of high deprivation. Most of the trust’s food banks also offer legal and welfare advice, housing support and clothes. The charity has previously been criticised by MPs who accused it of ‘scaremongering’. A Government spokesman said: ‘Reasons for foodbank use are complex so it is misleading to link them to any one thing. ‘This Government is determined to move to a higher-wage society, introducing the new National Living Wage that will benefit over one million workers directly this year, and we’re also spending £80 billion on working-age benefits to ensure a strong safety net for those who need it most. Shadow environment, food and rural affairs secretary Kerry McCarthy said: ‘It is a national scandal that food bank usage is continuing to rise. ‘Food banks have become a truly shameful symbol of a Tory Government that is failing to stand up for ordinary people. While those at the top are given tax breaks, others are struggling to get by. Meanwhile the All-Party Parliamentary Group on Hunger said too many children have hunger as their ‘most constant companion’ with one in five pupils at some schools arriving ravenous each day. The group has called for help from the United Kingdom Statistics Authority to help flesh out data about the true scale of hunger across Britain. Its report looked at 19 schools in Birkenhead and 13 in South Shields, with some staff reporting increased hunger in pupils on Mondays and after school holidays. Chairman Frank Field told how ‘one little mite in Birkenhead’ at a fun day, said ‘I don’t mind missing the activities, but please can I come in and eat? I’ve had nothing today and I’m starving’. The average household required 25 per cent of its income to cover the costs of food, fuel and housing at the end of 2014, an increase of 5 per cent since 2003, the report stated.